Your bedroom is supposed to be more than just a place to sleep. It's also your refuge from the world where you can relax and rest up for the next day. All of this is ruined when you have a bed bug infestation, which can lead to being covered in annoying, itchy bites and keep you from sleeping as well as you need to. Getting bitten at night with no other signs of bed bugs is not uncommon, but there are several possibilities as to the actual cause. For this reason, let's take a look at how you can determine whether the marks you have are bed bug bites, or whether they're a sign of something else entirely. As you likely know, bed bugs feed on humans, or rather, on their blood. As such, they leave marks just as mosquitoes and other pests do when making a meal out of unsuspecting people. Bed bug bites have a particular look, mostly because of the small bumps that raise up on your skin when you're bitten. 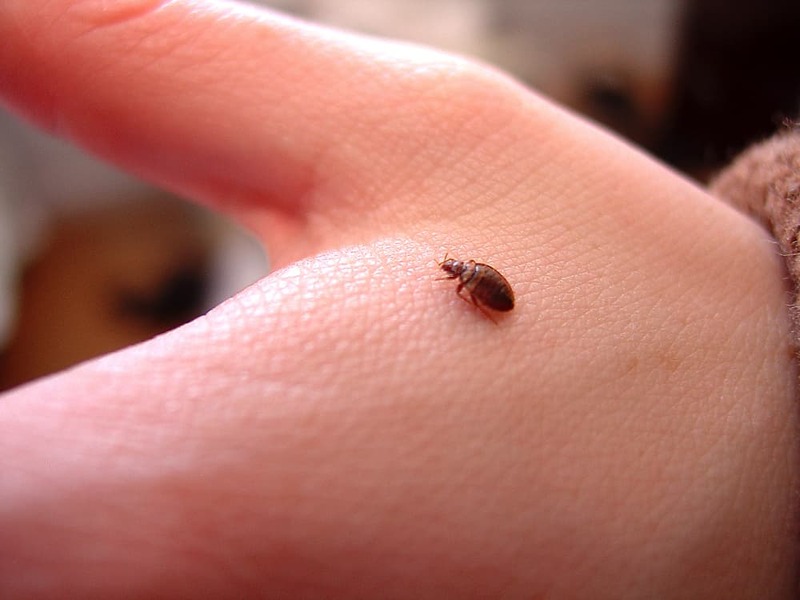 Swelling and itchiness are key signs of bed bug bites. You want to look not just for discoloration, but for a swelling or bumpiness that can indicate a bed bug bite. But, since bed bug bites can often look very similar to other types of bites (or even rashes), you will need to look for other signs of bed bugs before you make a final determination that your home has been infested. As gross as it may sound, look first for blood stains on your mattress or sheets. These bed bug stains won't be obvious as the blood drops themselves are usually very tiny. You're looking for what will appear to be very faint, red dots. If you have been bitten more in certain areas, such as your upper back, look at corresponding areas of your bed for blood splatters. Fully-fed bed bugs can also burst in your bed if you happen to roll over them in your sleep, leaving larger, more visible blood splatters on your bedsheets. Another gross thing that you'll need to look for are bed bug feces. These will often be very tiny black streaks that you probably would not even notice without a bright light and magnifying glass. This is proof that the bugs have been in the area. 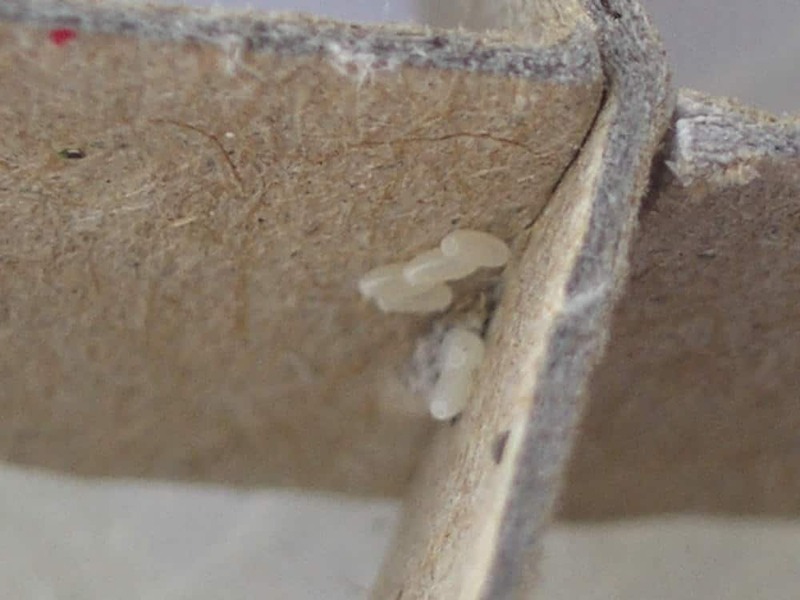 Bed bug shells are another tell-tale sign of an infestation. 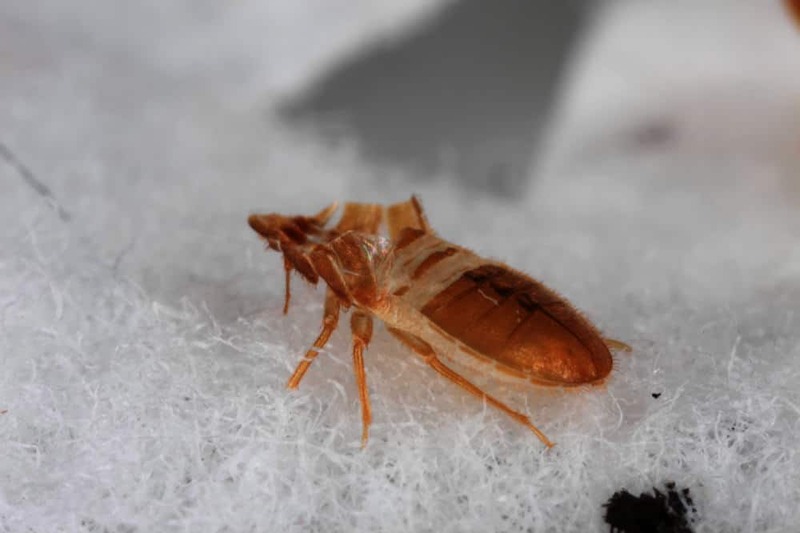 Bed bugs shed their shells as they grow to maturity, and the resulting shells are a pale color and only perhaps half as long as a grain of rice, which is about the size of the actual bugs. Use all of your senses when looking for bed bugs. A peculiar smell that isn't unbearable, but just seems “off” is also a pretty clear sign that you may have an infestation of some sort. 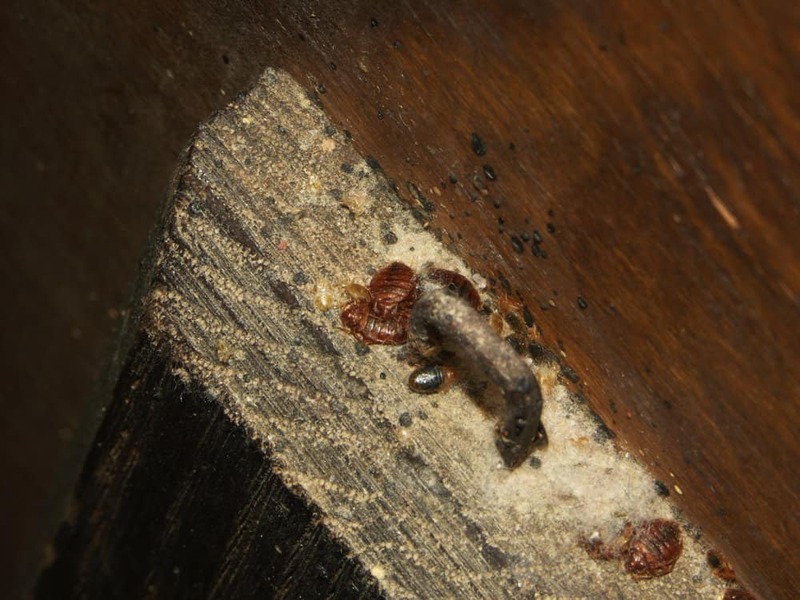 Bed bugs often live inside of box springs, which provides them with a secluded area that is dark and away from humans. It also keeps them close to where you sleep for when they need to feed again. 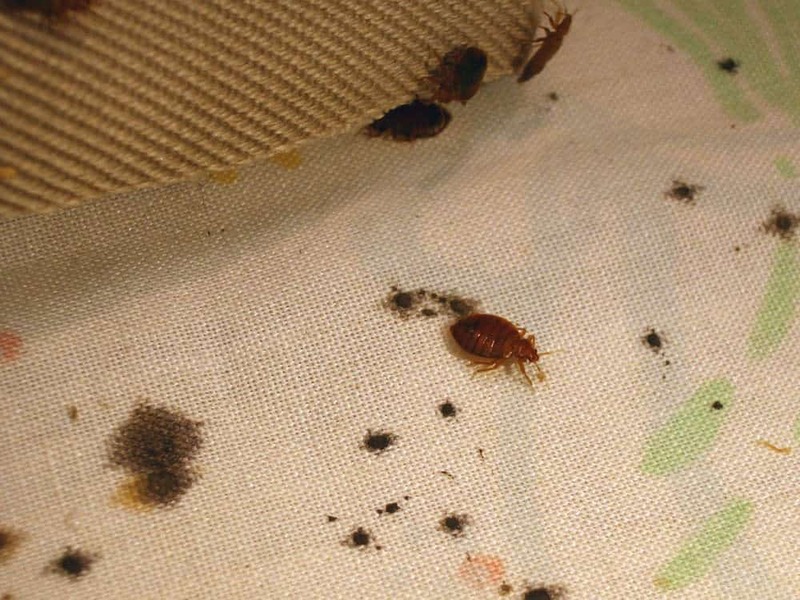 Under the mattress is another place bed bugs may place themselves for many of the same reasons. Keep in mind that they may also live around your bed frame, as well. Don't take the name “bed bug” too literally. 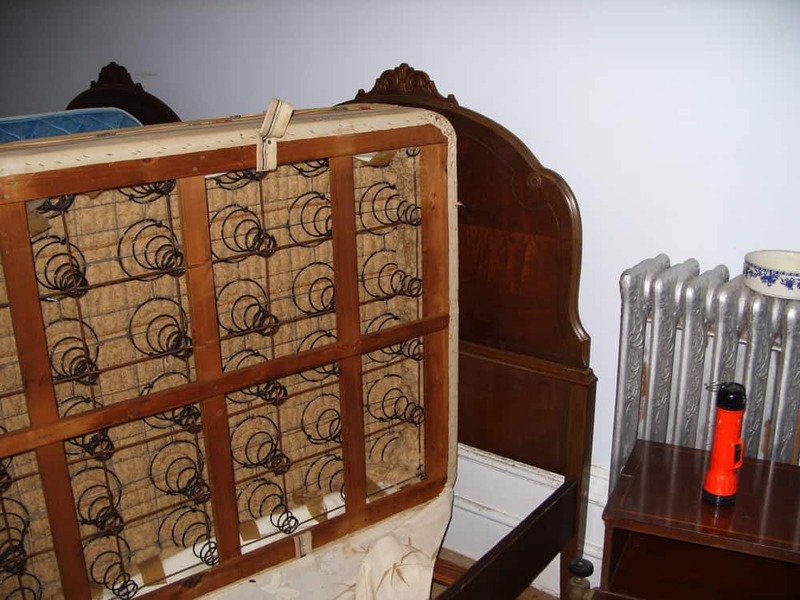 Bed bugs don't have to live in your bed and may actually decide to stay in or around other bedroom furniture. Dressers, which provide lots of clothes to hide in and little cracks, are a popular place. When checking for bed bugs, don't forget to look within cracks and crevices along your walls. Your ceiling may also have cracks that bed bugs have gotten into. Lastly, check out electric sockets, particularly if they aren't being used. These little holes provide a place for bed bugs to hide or place their eggs. Fleas are the first and most obvious choice. There are a lot of similarities here. First of all, they are both very small types of bugs that are parasitic and prefer to infiltrate indoor environments with controlled climates. 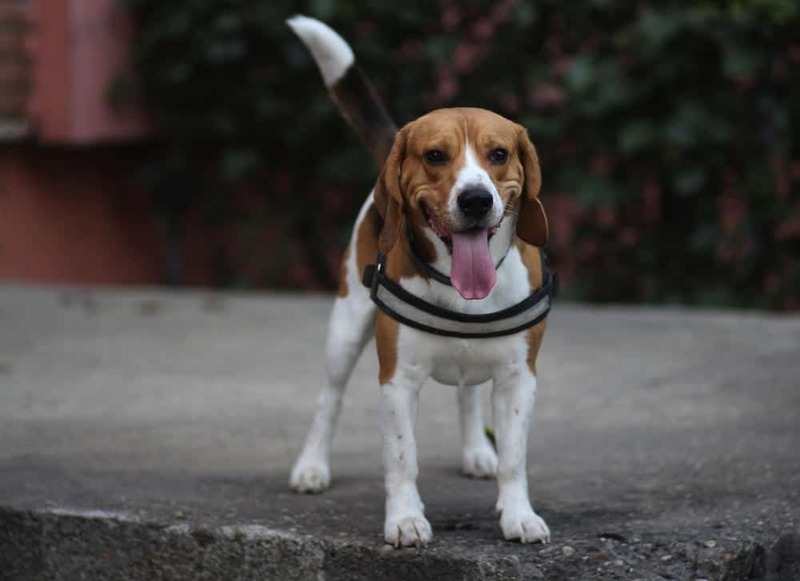 Furthermore, flea bites can look very similar to bed bug bites, especially when concerning the close clustering of bites. Mosquitoes are another possibility, though less likely. Mosquito bites do have the same itchy feeling and bumpiness that bed bug bites can have. However, if you have been bitten by mosquitoes, the bites are likely to be located in different areas than with bed bugs, since bed bugs bite a lot in areas of your skin that touch your bed or furniture (your back, for instance). Mosquitoes are more likely to bite any area that is uncovered when outside. Scabies are one last possibility. These nasty parasites are different from bed bugs in that they actually burrow into your skin and deposit eggs there. 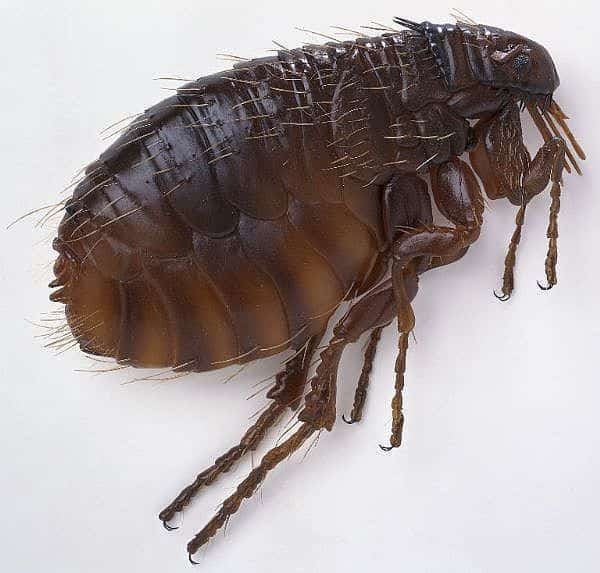 As such, scabies bites don't really look like bed bug bites, since it's more of an inside-out redness and swelling instead of an obvious surface bite. If you can't find any signs of bed bugs but you still feel that your home may be infested, one of the best things that you can do is call an exterminator to have them do a quick check. They will likely check areas that you didn't think to look in or be able to test more thoroughly. No home owner wants to have to deal with the annoyance of a bed bug infestation, but if your home truly is being affected, it's better to know so for sure. That way, you can begin taking the steps to rid your home of the bugs for once and for all.